Your Full Service Residential & Commercial Plumber Don’t let the little things become BIG problems. At Gator Drain and Plumbing, LLC, we’re dedicated to providing our customers with superior plumbing services in Cape Coral and throughout the nearby areas. We strive for exceptional workmanship and unparalleled customer care with every job we take on. No matter how big or small your plumbing needs, you can rely on our team. Need a new system installation? We offer two-year installation warranties for your peace of mind! Whether you’re looking for plumbing repairs, replacements, or general maintenance, Gator Drain and Plumbing, LLC will get the job done! Gator Drain and Plumbing Today! Got a plumbing problem? We’ve got you covered! Gator Drain and Plumbing, LLC is your local, full-service company, offering top-quality residential and commercial plumbing services at competitive rates. Whether you need drain cleaning, a sewer line repair, leak detection, a toilet installation, or any other plumbing service imaginable, you can count on us for 100% satisfaction, every time. Our certified and highly-trained team can assist you with your every plumbing need. We are proud to be a family-owned and operated company and we’re committed to building long-lasting relationships with all our customers. When you’re dealing with a major plumbing problem, need a new system installation, or would simply like to schedule routine maintenance service, there’s only one company to call: Gator Drain and Plumbing, LLC! Give us a call today at (239) 449-9469 to learn more about how our team can help you! "Dan was great. 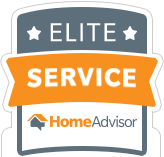 Customer service, value for service provided, fast response to our needs, all five-star! Will definitely place in my list of contractors." John K.
"Great customer service. Went above and beyond to make us happy Big expensive job but done beautifully. Will call them for any plumbing issues." Barb S.
"The plumber came at the scheduled time and completed all the work timely...we will be happy to call on Gator Plumbing again!!" Al M.
"Excellent service - timely, clean, and explained everything - also very reasonably priced." Linda P.
"Very pleased with service. KEVIN was prompt, professional and very efficient installing 2 new toilets in our home. He cleaned the areas where he worked and did a great job. He was very pleasant too." Susan M.
"This our vaca home and was able to give them a code to access the interior. They replaced 3 outdoor faucets and an inside shower valve and kit without damaging any tile.Yeah!!" Jeannie B.